In today's hospital environment, the nurse coming into your room may turn out to be a five-foot tall robot, fully equipped to take your vital signs and call for assistance if needed. Staying at a luxury hotel or spa? A charming mechanical butler may answer your room service call and appear at your door with dinner. No longer fiction or fantasy, highly complex machines are becoming part of our everyday lives. If you are a manufacturer of medical devices and/or robotic machines, you know you want to represent your brand and value proposition well to your customers--especially when devices are shipped on a trial basis. What could be worse than having something sent back because it wasn't properly packaged and shipped? That's why it's important to select the best possible partner for robotics and medical equipment packaging and shipping. Next Generation Robotics and Devices. Chances are the designers preparing to ship your equipment, outside of sci-fi movies, have never seen anything like it before. Are they prepared to be flexible and imaginative in creating the best possible packaging design to insure its safe transit? Next Generation Solutions. You can't force new ideas, shapes and forms into an old box. Robot arms may need to be secured in a particular fashion. Lasers may require temperature control. Imaging devices may be very sensitive to shock or vibration. Be certain to convey the unique qualities of your product and get comfortable with the solutions offered to address these needs. Assess Compatibility. Will your design engineers be able to work with the robotics crating engineers? Are the packaging engineers flexible and willing to understand new technology and terms? Do you foresee open lines of communication? 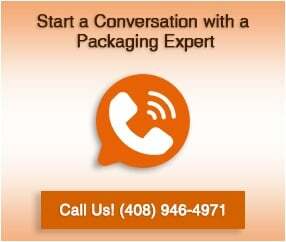 Your packaging partner should also be able to help you determine what type of packaging you need. For instance, if you're planning to do a lot of traveling with one piece of equipment or robotics for a trade show, you might need to look into flight cases (or ATA cases). If you're shipping directly to a customer, your primary focus is getting the equipment there safely and in as convenient a manner as possible. Both the manufacturer and end user want their hi-tech and robotic equipment to arrive as close to plug and play as possible. This makes the quality of medical equipment crating and robotics crating assume an even greater importance. In short, it pays to be well informed about your packaging needs and to work with a partner that shares your goals, values and expectations.